Ocean First would be nothing without the love and support from their cherished customers. 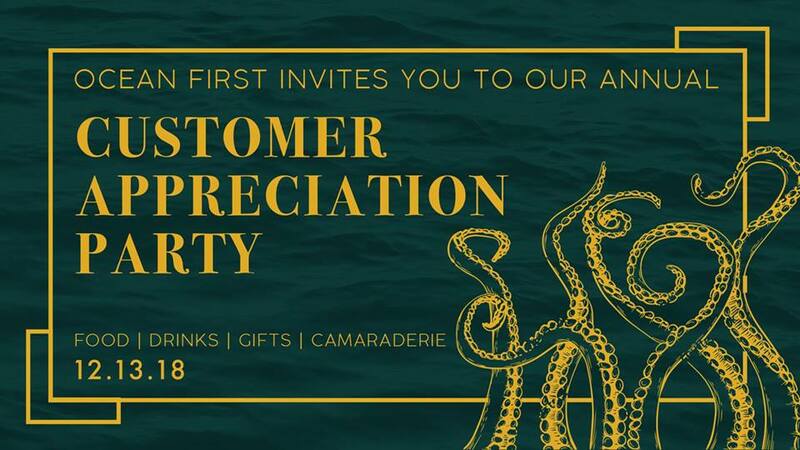 The end of the year is a special time for OF to show their sincere gratitude for the Ocean First family and friends and as a way of saying thank you, OF would like to cordially invite you to the 2018 Customer Appreciation Party. Raise a glass, graze on delightful bites, and connect with the local diving community. All attendees can enter to win a trip for one with Dive into Lembeh in North Sulawesi, Indonesia, and everyone will walk away with a free, limited-edition pint glass! In the spirit of the holidays, OF will be holding their annual canned food drive: bring 5 cans of food and get a coupon for $10 off a purchase of $100 or more. OF's non-profit partner, Ocean First Institute, will be in attendance with a selection of great stocking stuffers, including reusable stainless steel straws, reef friendly handmade soaps, and ocean themed stuffed animals. All proceeds go towards our mission of education and conservation. Come join us for the festivities, we can’t wait to see you there!